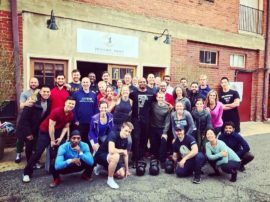 This past weekend we had the opportunity to work with a group of sharp medical and fitness pros that came from all across the U.S. The first day we broke down the Kettlebell Deadlift, Turkish Get Up and Swing. Some in the group were already familiar with the exercises. There were also a few that had never used a kettlebell before. It was awesome to see them pick up on the technical aspect of kettlebell training so fast! One of the Doc’s said he had never felt so good and would be looking to attend our next certification. How cool is that?! On Day 3 we taught the press and a few of our favorite shoulder stabilizing exercises. 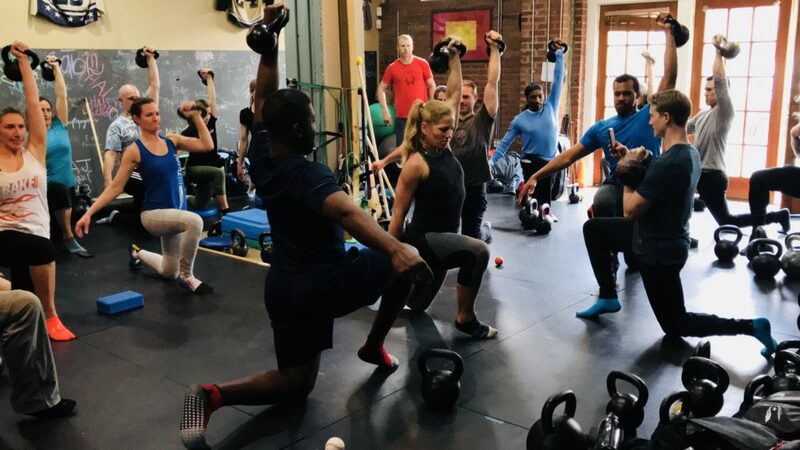 One of the main points that we wanted to relay to the group is that kettlebell pressing is one of the best ways to build strong and healthy shoulders. So many on the medical side will stay away from overhead movements with their clients. At DSP, we understand that this is a huge mistake. We’ve seen frozen shoulders get back to pain free – full range of motion in no time with good, strong kettlebell pressing. After a good training session of loaded rack holds, half kneeling and push pressing, I betcha’ this group here now understands the value of taking an kettlebell overhead. At least that’s what many of them told me! We finished off the weekend teaching our dynamic warm up and programming for training large groups. All in all, this was one of the most fun times I’ve had working with Chiropractors and Physical Therapist. They are the new breed who believe in using strength to improve their clients’ conditions. We had a blast and I can’t wait to see many of them at are upcoming kettlebell certification. Lastly, I want to thank Dr. Chad Bouhl for assisting this weekend. He did an amazing job at keeping order with so many people in such a tight space. Chad is the man! Also, a special thanks to Rekha! She is the engine that makes DSP go and she proved it again by putting together another great event! Here is a short clip that I put together from our kettlebell training sessions with the group. P.S.- Registration for our Hardstyle Kettlebell Certification is now open! We’re only taking 20 participants for this event. This cert will fill up fast! So I would suggest that you reserve your spot today my emailing me at dgil05@me.com and letting me know that you want in! DSP Weekly Video Recap #1Fall Throwing Program Recap – Oh My!